This the 6th and final blog in a series on nursing failure to rescue and what students and nurses need to know to be empowered to recognize a potential problem EARLY and save a life! When a nurse is caring for a patient in the acute care setting that experiences chest pain, shortness of breath, hypotension, or new neuro changes, this results in a rapid response team (RRT) activation. Within minutes a specially trained critical care nurse responds to collaborate with the nurse, assess the patient, consult with the primary care provider and implement emergent nursing interventions. But there is a potential downside to RRT that can limit the professional growth of the bedside nurse. It can inhibit the development of clinical reasoning that is needed (especially with newer nurses) to make correct clinical judgments. As a critical care float pool nurse who currently works in a large metropolitan hospital, I am assigned intermittently to work rapid response. Nurses in the hospital are encouraged and expected to page an RRT with any concerning change of status or primary complaints such as chest pain or shortness of breath. Though some nurses have completed a focused assessment of their own before or immediately after an RRT activation, there are some nurses, especially newer nurses who do not take this essential next step. Failure of the primary nurse to do a concise, but the focused assessment has revealed that a patient who complains of chest pain that resulted in an RRT was epigastric pain consistent with heartburn that was not identified by the primary nurse because no nursing assessment was done. RRT: What is the concern with your patient? Primary nurse: My patient is complaining of chest pain. RRT: Where is the pain located, how does the patient describe it, and what is the pain level on a scale of 1-10? Primary nurse: I paged a rapid response because they complained of chest pain. RRT: So did you assess the patient in any way to make a judgment to determine if this pain was consistent with a potential cardiac origin or non-cardiac chest pain? Primary nurse: I did not since I knew that you would be here shortly. That for some nurses, they delegate the critical thinking that will strengthen and develop their thinking to the RRT nurse. Working with newer nurses, I understand this tendency. They are inexperienced and want to follow protocol by paging the RRT and be extremely cautious. 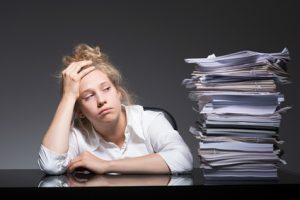 Some may not know or are comfortable that with a status change or concerning complaint, they are still the primary nurse and need to embrace this responsibility and take the initiative to do all expected assessments. But nurses who do not fully own their patients and complete a focused assessment do not fully recognize what is relevant, and interpret this data to establish nursing priorities, and use this opportunity to think like a nurse. 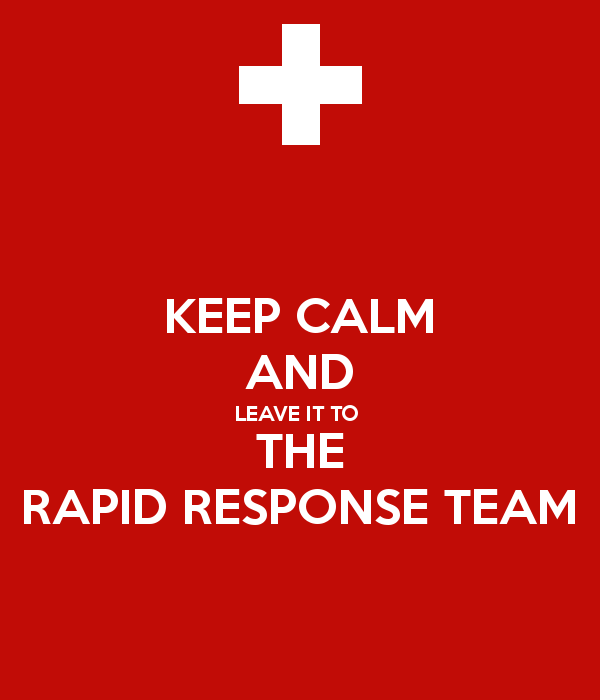 Why were rapid response teams developed in the first place? It was because of the ongoing problem of avoidable in-hospital patient deaths that include nursing failure to rescue. The Institute of Healthcare Improvement launched a national initiative, “100,000 Lives Campaign” to accomplish this needed objective (McCannon, Schall, Calkins, & Nazem, 2006). Through evidence-based research, several interventions were found to be effective. One of these was rapid response teams. 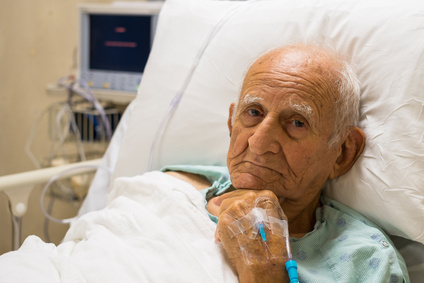 The primary objective of RRT is to provide timely and appropriate interventions to prevent adverse outcomes by providing a higher level of care in noncritical care areas and facilitating transfer to ICU. Rapid response teams have evolved and grown and are now a standard of care in acute care settings across the United States and the world. What is another contributing factor to new nurses being unable to recognize problems early and clinically reason by identifying what clinical data is relevant and why? 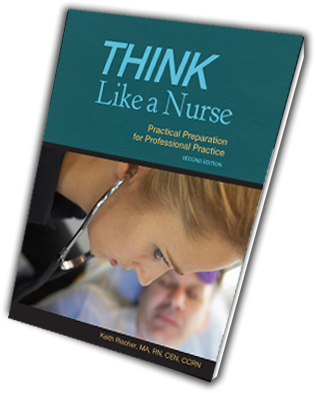 Because most students graduate unable to clinically reason at a level of basic proficiency and are not prepared and empowered to apply this essential nurse thinking skill to the bedside where it matters most (Kavanaugh &Szweda, 2017). The ongoing academic-practice gap or competence gap is also impacting not only students but patient outcomes. Though RRT is a positive development to improve patient outcomes when a patient is in a crisis, when the bedside nurse recognizes a problem EARLY and rescue begins, this too will positively impact patient outcomes and prevent needless patient deaths. 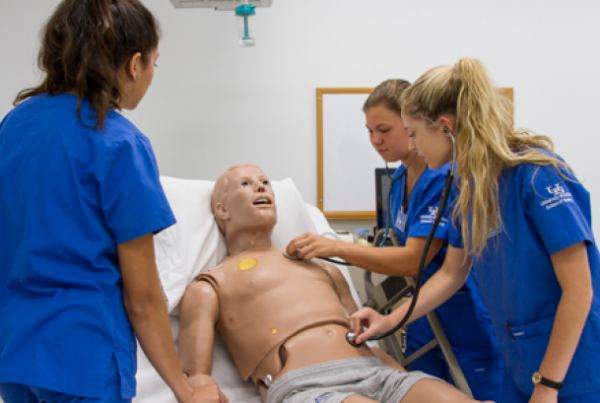 To take necessary steps to strengthen practice readiness in your program, make it a priority to prepare students for real-world clinical practice by integrating and emphasizing clinical reasoning in your class and clinical settings. Tackle infobesity and emphasize what content is most important because it translates directly to the bedside. I have created and developed numerous tools and case studies that educators can use to implement a transformational clinical reasoning based curriculum that will complement whatever type of curricular framework your program chooses to utilize. Another strategy that educators can use to strengthen patient outcomes in a crisis is to make QSEN come alive in your by teaching your students to take full responsibility for their patients. The bedside nurse is never alone but collaborates with the health care team to provide patient care. This includes the rapid response nurse. A rapid response page becomes a win-win when the primary nurse takes this initiative to both own their patient and collaborate as an equal with RRT. When the RRT nurse arrives to reassess the patient and interpret the data with the bedside nurse and validate his/her judgment and what they think the problem could be, the primary nurses thinking is strengthened. This is the same approach that clinical educators who make it a priority to coach and collaborate with students in the clinical setting. When the primary nurse does this, they remain actively engaged and develop the reasoning needed for practice and can grow through this required collaboration with RRT in the clinical setting. Need to PRACTICE thinking about a problem that needs to be recognized? 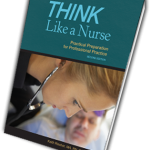 Every skill in nursing school must be practiced including thinking like a nurse using clinical reasoning. Start today by downloading four free case studies on sepsis that have varying complexity to get students thinking in your class or clinical and be better prepared to save a life! Teach your students the importance of teamwork and collaboration as it relates to working side-by-side with rapid response as equals in taking responsibility for a patient in potential crisis. Emphasize clinical reasoning and application of essential knowledge to the bedside in both the class and clinical settings. Rapid response teams are a positive development in acute care settings that can improve patient outcomes and save lives. But even in a crisis, reinforce with your students that they are still the primary care provider and must take full responsibility for their care by thoroughly assessing them with any concerning complaint and collaborate as equals with the RRT. Empower your students and give them the confidence to think more like a nurse by being able to clinically reason by recognizing which patients are a priority because they are at higher risk to develop a complication. When a problem is recognized EARLY by the primary nurse who has been taught to clinically reason and collaboration with rapid response takes place, this is the win-win combination that will improve patient outcomes and allow the primary nurse to develop and strengthen clinical thinking to develop and progress as a professional nurse. Do you teach your students the importance of collaboration with the healthcare team including RRT? McCannon, C.J., Scall, M.W., Calkins, D.R., & Nazem, A.G. (2006). Quality improvement-Saving 100,000 lives in US hospotals, British Journal of Medicine, 332, 1330-32. How to Help Your Students Think Like a Nurse! This practical resource provides a practice-based perspective on content and is endorsed by Dr. Patricia Benner and successfully adopted by dozens of programs across the country! To help your students think like a nurse, implement a “clinical reasoning-based curriculum” in your program. Subscribe to my new all-inclusive membership site and get access to over 200 clinical reasoning case studies and tools. The first month is only $1! 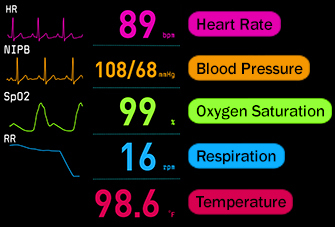 Vital sign changes a nurse needs to recognize to save a life! While I agree that new nurses find it challenging and scary when faced with a patient and they skip the critical thinking piece and call a RRT, I see it as a learning opportunity to help them grow professionally. There should be a debriefing following the Rapid Response. They should also be encouraged to engage the lead nurse/charge nurse or a peer in a conversation before calling the RRT unless the situation is obvious.